Trump went straight from Brussels to London, where he promptly dropped another protocol shattering bombshell, targeting the already teetering government of his host Prime Minister Theresa May. In a seemingly inexplicable interview with The Sun,Trump imposed himself on the internal politics of America’s closest ally by criticizing May’s “soft Brexit” plan to cut ties with the European Union, and cast doubt on his willingness to strike a new trade deal with her government. Trump then praised May’s archrival and “hard Brexit” champion Boris Johnson as a potentially excellent prime minister in-waiting. Johnson is another innate disrupter, who this week brought the British government to the verge of collapse by resigning as Foreign Secretary over his pique that Prime Minister May is not making a clean enough break from the European Union. As Cohen argues, there is a logical explanation why Trump has singled out Germany for such opprobrium, undermined May’s “soft Brexit” plan, and at all times focused his greatest ire on the European Union. After shedding nearly all of the moderating influences from his inner circle and cabinet this year, Trump is now a leader in full of a global movement with a specific ideology and a strategy for remaking the world. And as Trump prepares for his one-on-one summit with Russian President Vladimir Putin, whatever guardians are left of the liberal world order that the U.S. has led for seven decades should be very afraid. A clue to Trump’s grand strategy was revealed by his welcoming committee in Great Britain, which included the leaders of some of Europe’s prominent rightwing populist movements. They had gathered at a five-star hotel in London’s swank Mayfair district to plot strategy and cheer the arrival of their American champion. Reportedly in attendance was rightwing French populist Louis Aliot, boyfriend of French anti-immigrant firebrand Marine Le Pen, whom Trump tacitly supported in the last French presidential election. Rightwing British politician and Brexit mastermind Nigel Farage was also present, having personally campaigned with Trump in 2016. At the center of this gathering of rightwing populists was Trump’s former chief strategist Steve Bannon, who, as POLITICO reported, is in London to rally the populist leaders and act as a “surrogate” for Trump with the British media. Though he was fired from the White House last August after a falling out with Trump over comments to a book author, Bannon remains the most thoughtful and articulate defender of the agenda at the core of Trumpism: “deconstruction of the administrative state” that is responsible for upholding the post-World War II, rules-based international order. 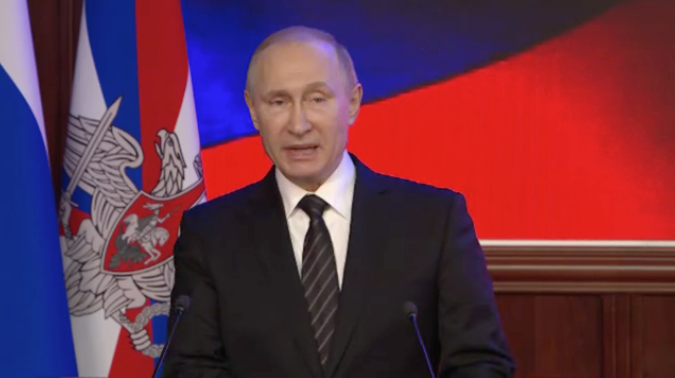 Russian President Vladimir Putin is a role model to many European right-wing, nationalist-populists. To grasp why Trump’s summitry this week inspired such fear and trepidation in establishment circles, it’s important to understand the degree to which the nationalist populist ideology that Trump and Bannon share with their rightwing populist counterparts in Europe is a threat to fundamental democratic values. “Trump has consistently embraced an ideology which holds that the rules-based international order that America led for over half a century was great for our allies, but it tilted the economic playing field in a way that was a disaster for us,” said Ivo Daalder, a former U.S. ambassador to NATO, and co-author of the upcoming book The Empty Throne: America’s Abdication of Global Leadership. Nicholas Burns, former U.S. Ambassador to NATO and now at Harvard’s Kennedy School of Government, recently returned from an extended trip to Europe to speak with officials there. He believes Trump has opened the most dangerous breach in the transatlantic alliance in its seven decade history. There’s no doubt that the nationalist, populist deconstruction agenda of Trump, Bannon and their European allies benefit from working together. Bannon has spent considerable time in recent months advising and championing ascendant rightwing populist parties throughout Europe. The rallying cry for these parties is a nativist rejection of immigrants and an embrace of hyper-nationalism. They view “globalists” as the common enemy and multilateralism as a plot by the “international elite.” If that makes these nationalist populist parties instinctively authoritarian and pro-Russian, skeptical of NATO, and virulently anti-European Union, well, Bannon for one has no problem with that. Because the global nationalist populist movement began in earnest with Brexit, it’s also logical that its American champion, Trump, would throw the United States’ lopsided weight behind a “hard Brexit” for Great Britain. On the European side of the Atlantic, nationalist populism achieved a ground-shaking victory this spring in Italy. There, the right-wing, anti-immigrant League Party joined forces with the leftwing populists of the Five-Star Movement, with the two anti-establishment groups now governing Italy in an unlikely coalition. But the triumph of the movement finds its purest expression in Hungarian leader Victor Orban, who famously declared “the new state that we are constructing in Hungary is an illiberal state, a non-liberal state.” Orban has launched an assault on the independent judiciary in Hungary and built a wall on his southern border to keep immigrants out. Manchurian Candidate or Wrecking Ball? Even as he makes waves in Great Britain and prepares to travel to Helsinki for a hastily scheduled summit with Russian President Vladimir Putin, Trump has raised profound questions about his own deconstruction agenda. In the past few months he has taken a wrecking ball both to close allies and the pillars of the international order. Beginning in May, Trump unilaterally slapped tariffs on imports, provoking a trade war not only with China, but also with allies in North America and the European Union. He also dangled a potential fix to the Iran Nuclear Accord in face-to-face meetings with the leaders of close European allies who were instrumental in negotiating the agreement, only to then humiliate them and tear up the deal regardless. 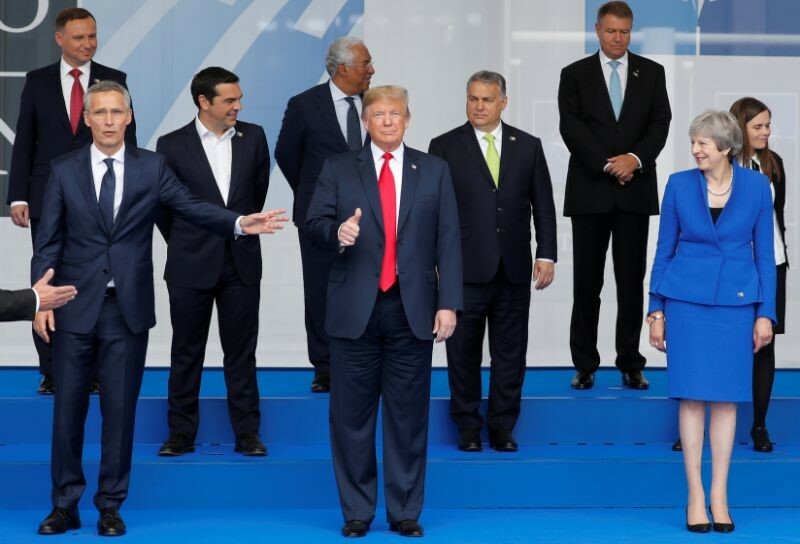 Last month, Trump threw the G-7 summit of the world’s richest democracies into disarray by refusing to sign its communiqué embracing free trade, engaging in ad hominen attacks on its host Canada, and inexplicably suggesting that Russia should be allowed back into the group. This week, Trump sowed profound doubt and distrust in the bedrock Western alliance by publicly pressuring NATO allies to bend to his will, or else he would just have to “do his own thing.” (What that was, he never defined). And through it all, he has expressed almost nothing but praise for Russian strongman Vladimir Putin. 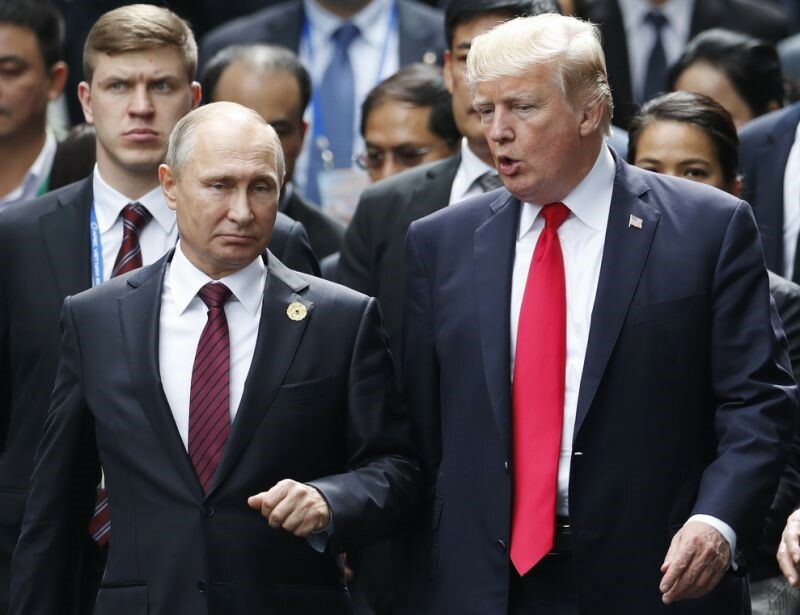 Indeed, Trump could hardly have done better if he were determined to dismantle the pillars of the international order and undermine the foundational alliance of western democracies for the benefit of Vladimir Putin. 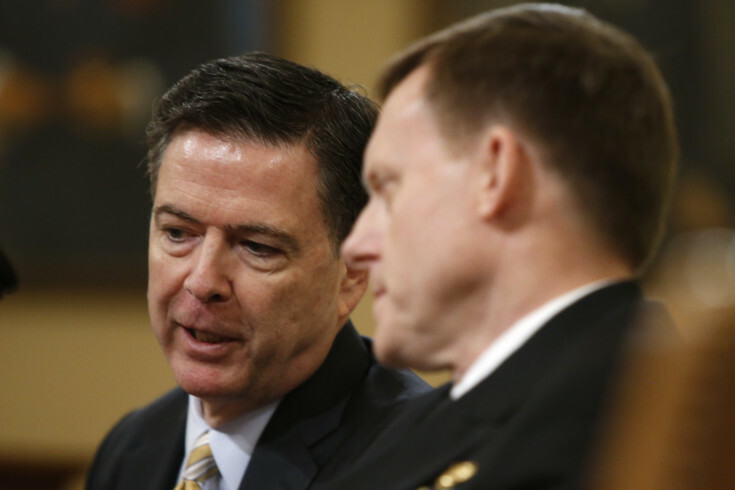 In searching for an explanation for Trump’s behavior, former FBI Director James Comey has posited the “Manchurian Candidate” theory – namely, that Putin manipulates Trump through some damning “kompromat,” or compromising dirt. “I think it’s possible. I don’t know. These are more words I never thought I’d utter about a President of the United States, but it’s possible,” Comey told ABC News earlier this year. After being interviewed by investigators of special counsel Robert Mueller looking into possible Trump campaign collusion with Russian interference in the 2016 election, former Trump campaign adviser Sam Nunberg concluded that Mueller harbored the same suspicions. “He thinks Trump is the Manchurian candidate, and I will tell you I disagree with that,” Nunberg told CNN. But a more likely explanation for Trump’s action is the influence of his former chief strategist Bannon, and the ideological affinity both men share with the right-wing populist movements now ascendant in Europe. That explanation, in many ways as troubling as any conspiracy theory, holds that an increasingly unshackled Trump, no longer encumbered by the moderating influences of establishment figures in his inner circle, really does share an ultra-nationalist worldview with Putin. 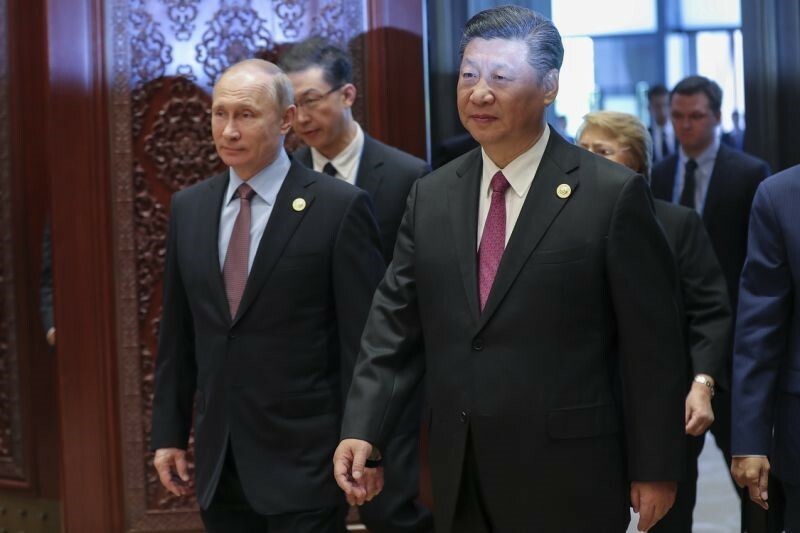 Every word and concession that Trump offers after his summit with Putin meeting will be parsed, and rightly so, for signs of his new world order. Trump has already suggested his willingness for nationalist great powers to reorder the planet when he reportedly mused that Russia’s annexation of Crimea by military force might be permissible because most of its citizens speak Russian.